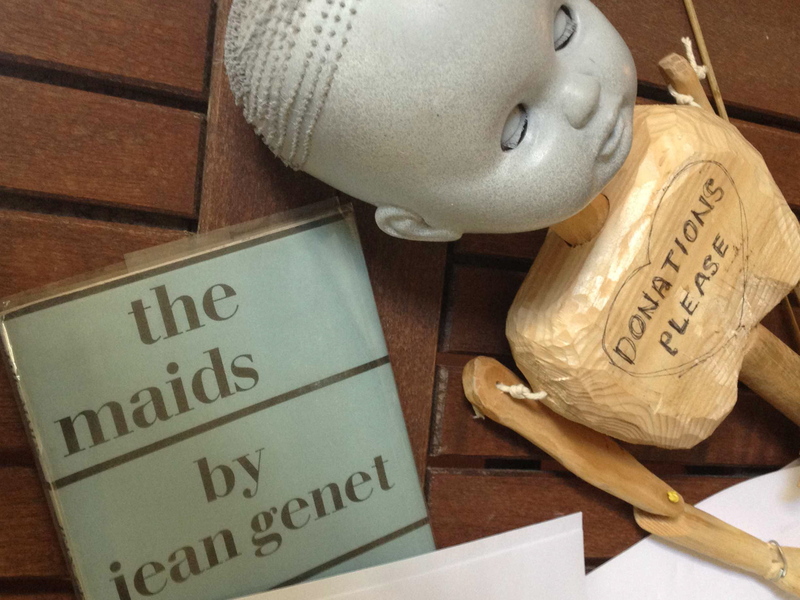 ‘Playing the Maids’ takes as a starting point Jean Genet’s modernist drama ‘The Maids’. We are not doing a production of Genet’s text – it was the source material when starting the collaboration last September. We have two sets of sister maids – Irish and South Korean – and one Chinese-Singaporean Madam, Jing Hong Okorn-Kuo. Jing explores notions of privilege and beauty through a morphing figure of the powerful and desirable ‘Madam.’ Her choreographic work is influenced by the representation of the female from sources as broad as favourite courtesan in Beijing opera to the tragic Western ballet ‘Swan Lake.’ This is where what Phillip coined ‘the dramaturgy of the skirt’ arose from – the progression of the changing costume of Madam, especially in the form of a long sarong Jing pleats and folds to create different effects. We have incorporated new text and found ways of further including cellist Adrian Curin and sound artist Mick O’Shea. They are on stage throughout, creating the soundscape of this world, responding to the action. I find myself watching Adrian and Mick watching our Solanges, Claires and Madam, adjusting the musical score, breathing with the performers. Supporting our intense rehearsal period is an efficient and enthusiastic small army of interns – Aoife Bradley, Katrina Foley, Josephine Dennehy and Alan Dalton – who I found merrily spray-painting silk flowers red, black, and white outside in this unexpected heatwave. We’re delighted to have them in the rehearsal room, observing part of a process usually taking place behind closed doors. It is a privilege to have the next generation of theatre makers and professionals with us on this journey. This entry was posted in on performance, on process and tagged Adrian Curtin, Beijing opera, choreography, Claire and Solange, co-creating, Cork Midsummer Festival 2014, devising, dramaturgy, Jean Genet's The Maids, Jing Hong Okorn Kuo, Mick O'Shea, performance, Phillip Zarrilli. Bookmark the permalink.